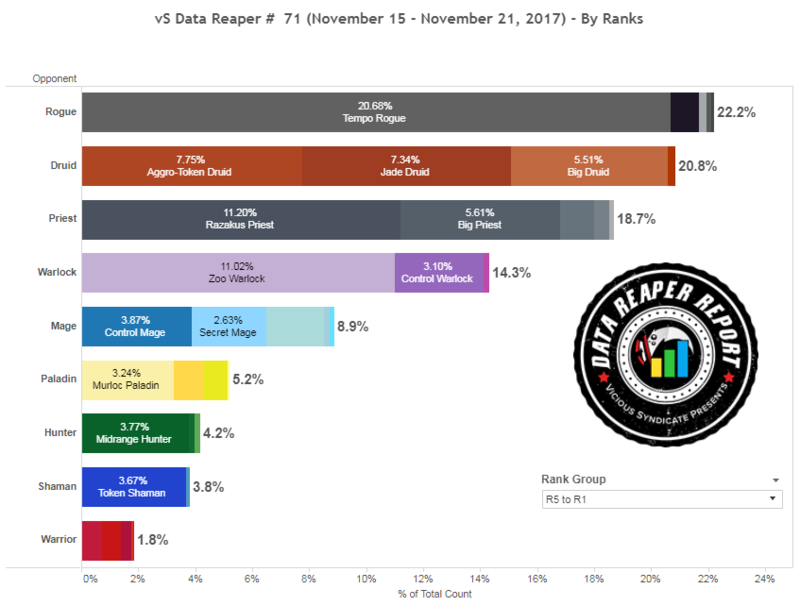 Welcome to the 71st edition of the Data Reaper Report! 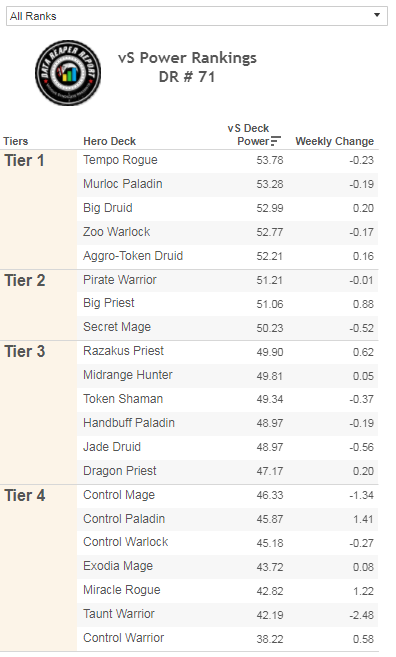 This week brings a pretty significant meta shift that is characterized by a drop in the Druid population accompanied by an increase in Rogues and Priests. At all ranks, these three classes find themselves at an incredible three-way tie in their representation. At legend, Priest nudges slightly ahead of the other two, though Tempo Rogue remains the most popular archetype at most levels of play. The decline in Druids is affecting all of its archetypes, and the class continues to exhibit the disparity we’ve talked about last week in terms of its archetypes’ popularity at different skill levels. Jade Druid is very popular at the bottom of ladder play, while Big Druid becomes the go-to choice at legend. The huge beneficiary of the decline in Druids is Priest, so we’re not surprised to see the class increase in its play as a result. 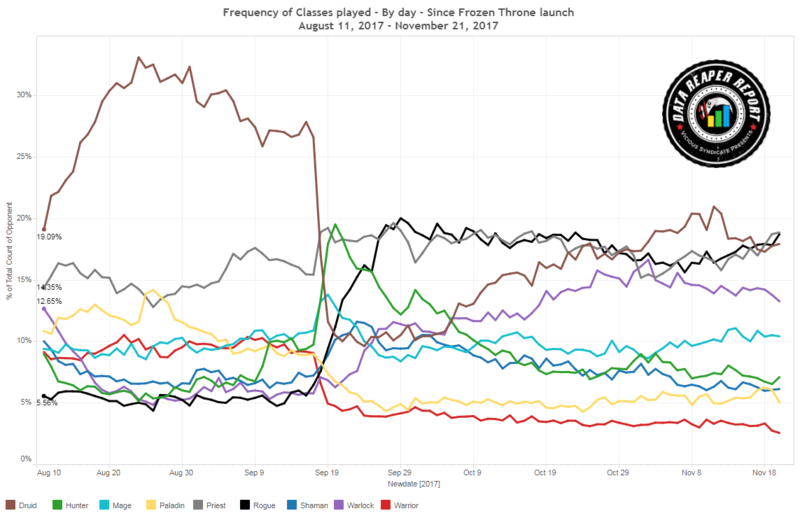 The next two classes see contrasting trends. Mage has seen an increase in play at lower skill levels, but finds itself declining at legend. Its archetypes tend to target very narrow fields, but struggle against a more diverse meta. Zoo Warlock’s numbers at legend have risen, but they remain much lower than what they are at the bottleneck to legend. Zoo is a very strong ladder climbing deck, due to being a Jack of all trades. It has very few weaknesses, but very few outstanding traits. The definition of solid. There isn’t much action at the bottom 4 classes. Paladin and Hunter do show signs of life and see quite a bit of experimentation. Warrior and Shaman, however, are a barren wasteland of innovation and desperately need new cards to support new ideas. Razakus Priest has been on a steady slope of improvement lately, and has seen a big jump in its performance against the field at all levels of play, especially at legend ranks, where its win rate is no longer a quality meme. We do know that the deck performs better at higher levels of play and this week shows no difference in that regard. 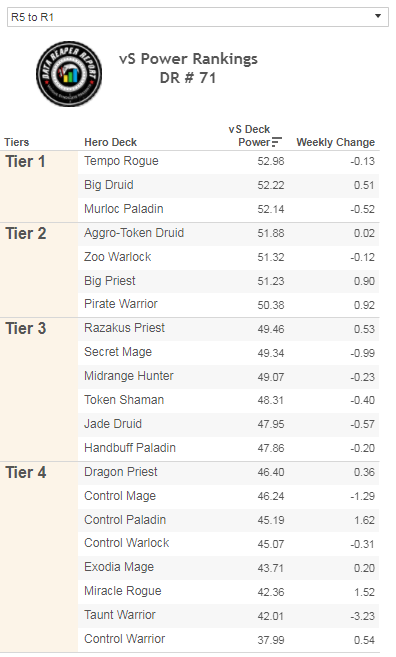 Razakus Priest’s rise in win rate this week comes as a result of the decline in Druids, which is an overall net gain for the archetype, as well as its continued adaptation to the meta after finding itself being relentlessly targeted over the past few weeks. Tempo Rogue continues to sit at the top at all levels of play, with Murloc Paladin right behind it at legend. Tempo Rogue has been the most powerful and consistent deck in the game since the balance changes hit, with no glaring weaknesses that could leave it open to being countered. Murloc Paladin is a fantastic deck in the absence of Rogues, which makes it particularly powerful in tournaments where a ban is available. But even with Tempo Rogue’s current prevalence, Murloc Paladin continues to exhibit a very good win rate. Interestingly, Big Druid and Aggro Druid see an increase in their win rates despite their decline in popularity. It makes sense when you think about it. Both decks thrive when they are not the focal point of the meta. Together, they provide a massive headache for opponents in the mulligan phase, a factor that boosts their performance in several matchups. However, if one becomes too popular and predictable, things can get a little bit tougher. Make no mistake though, Druid is an elite class and both of these archetypes are still very powerful even under the heat. Jade Druid’s win rate stays lukewarm. This, of course, doesn’t mean that Jade Druid is a weak deck, but its standing in the meta is unfavorable in comparison. There is another archetype that displays a very high win rate at legend. The problem is, its sample size doesn’t allow us to calculate its win rate with a high enough level of confidence, so it’s missing from the table. What are we talking about? Silence Priest, the original unicorn deck. Its dominating matchups against slow Druids as well as Razakus Priest are a big deal, and considering its extremely low play rate, it has had a disgusting rate of success at top legend ranks (the deck has quite a high skill cap too, with players at lower skill levels doing much worse with it). Players who have been reading this report on a weekly basis know how much we’ve banged on about Silence Priest. Well, that’s another “bang” from us! Priest continues to enjoy its best meta ever. Razakus Priest is a powerful staple archetype that’s a favorite for many high level players who have hit top legend ranks with the deck. Big Priest continues to perform very well at all levels of play. Other Priest archetypes are also seeing success and showing a lot of potential considering their low play rates. It doesn’t appear that Priest will be weaker with the next expansion too, after the reveal of Duskbreaker, which is likely the most powerful card we’ve seen so far in this set. It perfectly covers Dragon Priest’s biggest weakness in standard: the lack of comeback mechanics resulting in poor matchups against minion-heavy aggressive decks. Dragon Priest is already a competitive deck at a decent power level and the thought of it being able to deal with aggression effectively, in addition to its already great matchups against slower decks (through Inner Fire combo and Drakonid Operative), is scary. Silence Priest continues to run under the radar, see little play, but achieve great success. Multiple players have been hitting top legend ranks with the archetype. XanderCrews hit #1 legend on NA. Meati hit #2 legend, and Ruby hit #5 legend piloting a list similar to Meati’s that cuts Lyra for a Tar Creeper. This archetype’s fantastic matchups against slow Druid decks as well as Razakus Priest, makes it a really strong choice in the current meta. Shadow Visions, Divine Spirit and Inner Fire are a deadly combination in this meta, and some players are taking this burst package into different and quite surprising shells. Katsumi hit #10 legend running “Breakfast Priest”, a tempo-focused list running the strong neutral mid-late game minions along with some synergy based cards, such as Devilsaur Egg and Meat Wagon. This build can curve out normally much like Zoo Warlock or Tempo Rogue, but also has the burst package to complement its sticky minions in order to one-shot slower decks. Multiple players have also taken this list to top legend ranks. Mitsuhide, a very proficient combo Priest player, climbed as high as #4. 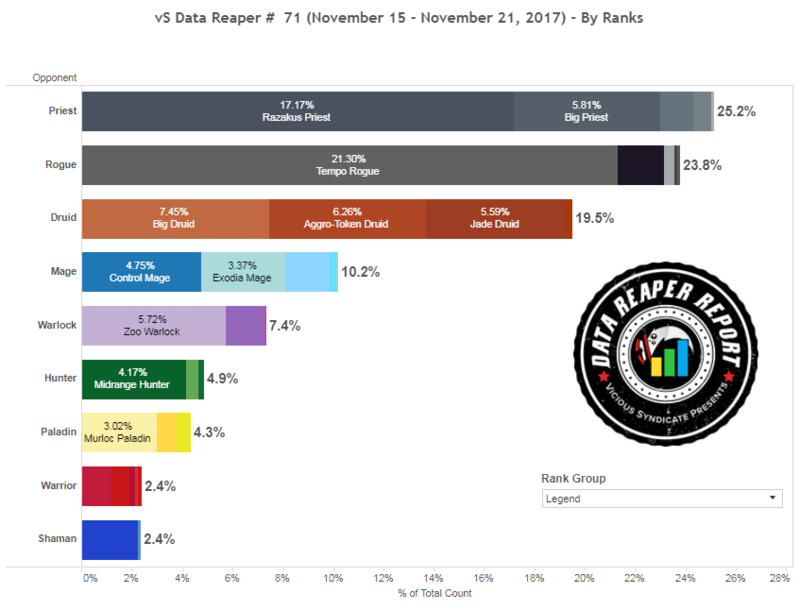 Tempo Rogue continues to rule the meta in both play rate and win rate. BoarControl was sitting at #1 legend on EU throughout most of the past week, piloting the Chain Gang list which has become the standard build for the archetype. The primary tech for slower matchups is the addition of Vicious Fledgling, which is very strong against Priests and slow Druids decks, especially the latter. Vicious Fledging on turn 3 interferes with the Druid’s Jade Blossom turn, and either forces it to play off curve to Wrath if they have the removal available, or face the wrath of the Flappy Bird instead. It’s also possible to run two copies of Vicious Fledglings, and drop the single Cold Blood. Other variants of the archetype are also performing well, especially the Corpsetaker variant, which can be very explosive. Tempo Rogue has been the deck that seems to do no wrong when it comes to its build choices, since its core of must include cards is small and it taps into the power of strong neutral minions more than any other deck in the game. Other Rogue archetypes have generally floundered in the current meta, most notably Miracle Rogue, save for the odd individual success story. The main issue with other Rogue archetypes is the mirror matchup against Tempo Rogue. Since the class lacks strong defensive tools in its kit, the Rogue mirror usually ends up being a race for lethal, and no deck does it better than Tempo Rogue. Big Druid is finally the most played Druid archetype at legend rank, which lines up with its performance against the field. Aggro-Token Druid has fallen behind in second place, while Jade Druid comes in last. Over the last few weeks, the meta has slowly shifted away from Jade Druid’s favor, and Big Druid has taken its place as the premier late game Druid deck. Though Big Druid’s standard list is by far the most common one, many players are experimenting with flex choices. The most common cuts are the relatively low impact Innervates. Ysera and Malygos are popular late game choices that are very effective against Priests and synergize well with Deathwing, Dragonlord. Ancient of War and Bog Creeper are additional options to shore up the Druid’s curve and offer another defensive 7-drop in addition to Malfurion the Pestilent. Finally, Bright Eyed Scouts offer a different form of ramping that’s less consistent but can be very impactful. Both Aggro-Token Druid and Jade Druid are solved archetypes. The Penguin variant is the most successful one in Aggro Druid, while Jade Druid’s 28 card core is solidified. Players have been experimenting with running Lich King instead of Medivh. The Lich King is a bigger body with taunt, which makes it a stronger late game option against aggressive decks. Its issue is that some of the cards it generates don’t synergize very well with the archetype. 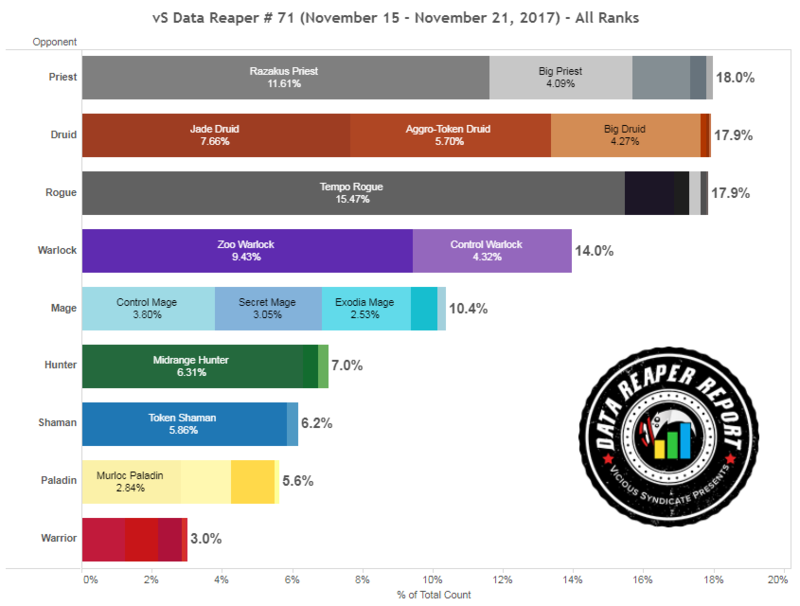 Mage is the 4th most popular class at legend and its archetypes have enjoyed top legend success recently. TrickyHunter reached #1 legend on NA with the Standard Exodia Mage build, which looks to prey on a pocket meta with slower decks. Zarathusra hit #1 legend on Asia with the single Frostbolt build. Cutting a Book for a Frostbolt is meant to give you a better chance in aggressive matchups, as there are numerous 3 health minions in aggressive decks that can just solo kill you if left alone (most notably Vicious Fledgling and Southsea Captain). Secret Mage can also benefit from an increased presence of slower decks. Rafael hit #1 legend with a top heavy and heavily teched build, running Lich King in addition to the quad 7-drops as well as two Scalebanes. Tar Creeper and Golakka Crawler are included for the Rogue matchup, which is pretty terrible for the Mage. In his tournament lineup, StanCifka ran Hemet in his Secret Mage build in order to find his late game as quickly as possible to close out slower matchups. Finally, Ryvius piloted a heavily teched Highlander Mage list to #9 legend. The deck plays out very similarly to the grindy Control Mage decks centered on Frost Lich Jaina, but sacrifices consistency for the swing package of Kazakus and Inkmaster Solia. The story remains the same with Zoo Warlock. 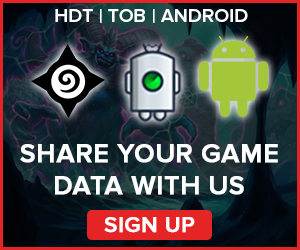 It continues to be well positioned in the meta, but all players are advised to adjust their tech choices based on how their pocket of the ladder looks at any given point. 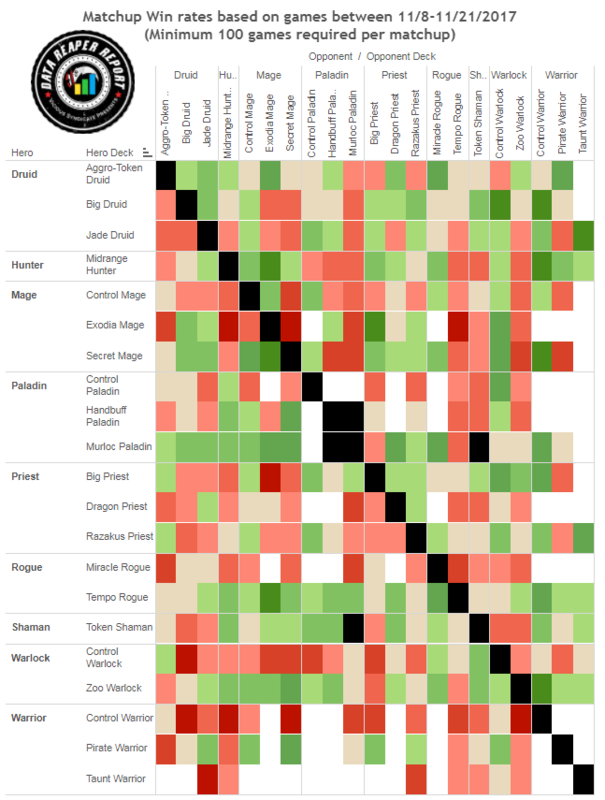 Control Warlock is in a much worse spot, and the archetype is generally performing poorly, but players are having fun with builds running the Treachery/Howlfiend combo. Asmodai has been experimenting with a build that includes plenty of hand destruction and manipulation tools: Gnomeferatu, Dirty Rat, Coldlight Oracle can all potentially interfere with your opponent’s resources. Treachery works both with the Howlfiend/Defile combo as well as Doomsayer for a sweet board clear. As we’ve said, Control Warlock is in a pretty poor spot, and in order to stand a chance against the powerhouse late game decks such as Big Druid and Razakus Priest, it has to draw aggressively and get to its hand destruction tools as soon as possible. The most recent development in Hunter is the inclusion of Snowflipper Penguins in many recent Midrange Hunter lists. One of Hunter’s biggest weaknesses is the easy manner in which opponents can deny its most powerful turns, by cleaning the board from beasts and turning Houndmaster and Crackling Razormaw into substantially weaker cards. By running Penguins, you can make these power plays even with an empty board, providing a massive tempo swing. MrYagut piloted a Penguin variant to #15 legend. His list runs a single copy of Call of the Wild as a way to further support the token centric nature of the deck as well as give it more value in the presence of the Penguins. One of the keys to success with this list is learning when to throw out the Penguins or when to hold them out for beast synergy. Be conscious of your opponents’ AoE cards and don’t overcommit the penguins early. Once you get to turns 4/5/6, the Penguins combined with midrange threats might be the push needed to overwhelm opponents, who are forced to deal with both large and small bodies simultaneously. 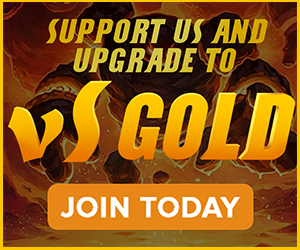 Paladin is largely defined by two archetypes that compete for the same space, and is also seeing some interesting experiments as people seem to be gearing up for the expansion’s meta shakeup. The “Standard” Murloc Paladin build goes all in on murlocs and buffs while taking advantage of the high value cards available to Paladin. There’s an option to cut Coldlight Seers to run Golakka Crawlers. This gives up a few percentages against slow Druid decks in order to improve the Rogue matchup. Machamp hit #15 legend with a Golakka Crawler list that cuts Curator and one Chum for Argent Protectors. The Pirate path was popularized by Jambre and utilizes a Pirate and weapon package to fight for the board and to set up favorable trades and swing turns. This package helps the deck perform better in faster matchups, but leaves you vulnerable to Golakka Crawler tech, which is quite common due to the prevalence of Rogues. Handbuff Paladin is a fun change of pace from Murloc lists and can be surprisingly effective. In general, Handbuff lists try to craft hands of cards that synergize and bloom into powerful swing turns, whereas Murloc lists just play good cards and then play other good cards that make those cards better. 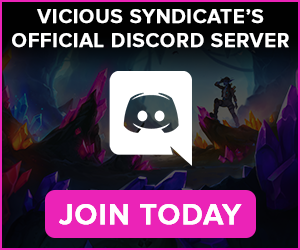 Kurosisu’s list is the latest one to be taken to high legend ranks, and several other players have also enjoyed success with the archetype, with BloodEdge’s list being the most common variant. 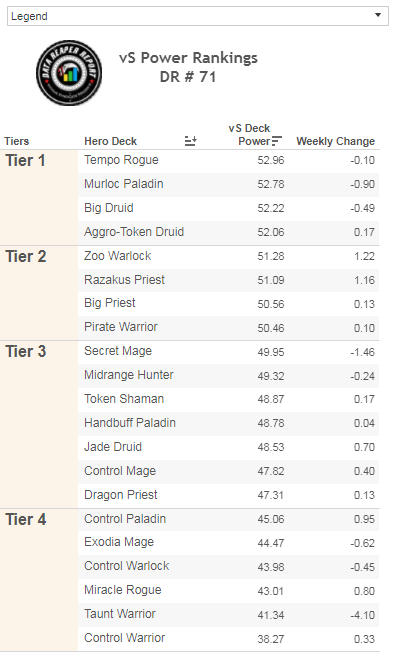 In experimental news, Kibler picked up a list similar to the one initially built by Hotform for his legend climb. This build is a hybrid Paladin deck that runs the mid-game power neutrals we’ve grown accustomed to, but also includes Pyro/Equality as well as Primordial Drake and Uther of the Ebon Blade. The deck plays out like Control Paladin in aggressive matchups, fending off the early game until it’s able to stabilize through Steed or Bonemare. In slower matchups, it’s often the aggressor as it attempts to leverage its mid-game power into significant pressure. How long can this go on? 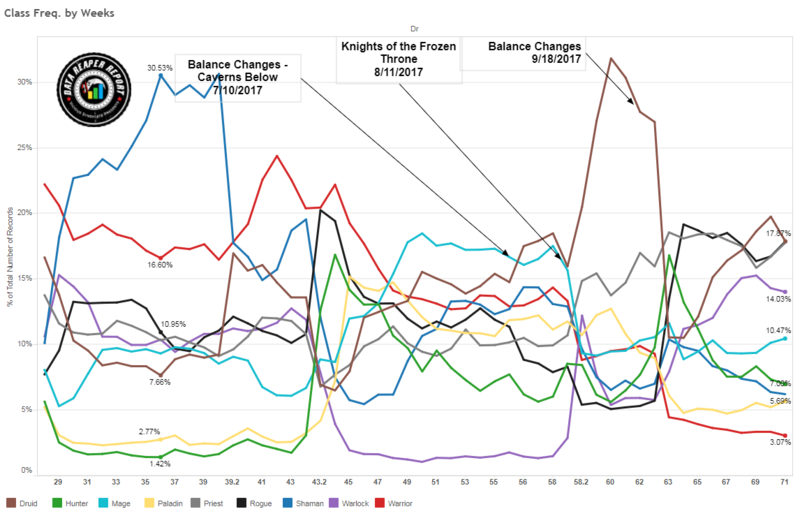 At least Warrior’s miserable spot in the meta is a source of interest and discussion. “How the mighty have fallen” is a strong narrative. What can we say about Shaman, a class that’s just boring? Every week, we scan and search for new builds that are worth trying out in the class. Nearly every week, it’s the same story. We’ve got nothing. Token Shaman is outclassed by the field while slower Shaman decks have always looked awful during KFT because their late game plan is too slow, too clunky and too unreliable. The class needs some build-around cards that are actually good and contribute to your opponents being more likely to die. Is an 8-mana weapon that discovers spells and casts them randomly, one of these cards? Probably not, but people did underestimate Yogg. Things are just getting more and more miserable for Warrior. At legend ranks you can expect to see less than one Warrior player per 50 games, the class has been given up on to the degree where barely anyone is trying to come up with new decks anymore. 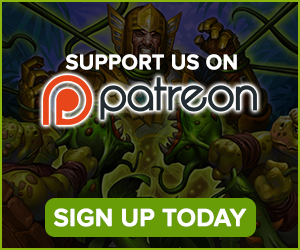 One hopes things can only get better, so keep your eyes peeled for powerful new Warrior strategies coming out in Kobolds and Catacombs. For now, Warrior is at its lowest point in Hearthstone’s history. Silence Priest is an archetype with great potential, but it is not an easy deck to play well. If you’re running into a lot of Big/Jade Druids and Razakus Priests, it’s a great meta call. Tempo Rogue is a more difficult matchup due to the availability of Vilespine Slayer, a card that can wreck your board development. So, you have to either combo the Rogues quickly before Slayer comes online, or try to bait the Slayer out before going all-in. We think there is a lot of room for refinements when it comes to the archetype, as there are multiple card choices that are up for debate, but it’s unlikely to ever be solved due to the time left until the new expansion hits and the lack of interest in the player base when it comes to trying out new things at the moment. If you’re a hipster at heart who loves combo decks, Silence Priest is a great fit and a lot of fun.